This is a beautiful estate lot with some river views across the river from Jamestown, convenient to the Ferry. 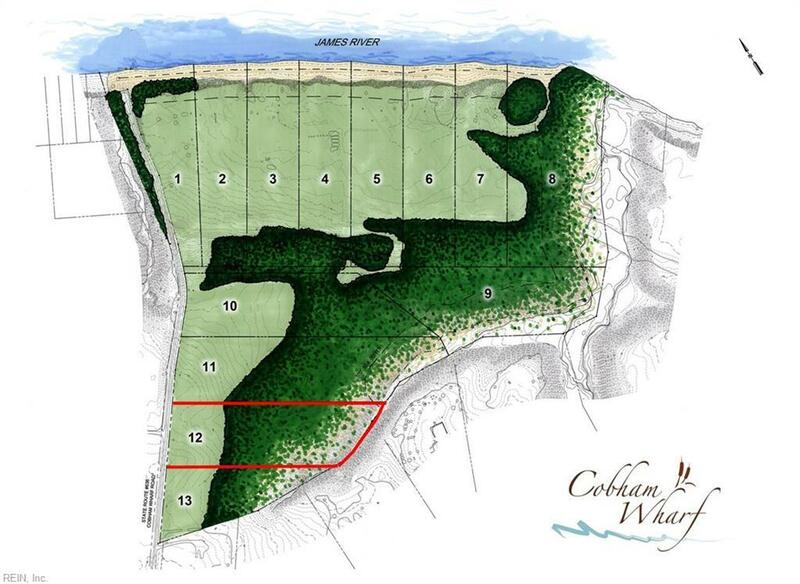 This is NOT a waterfront lot, but the home site is on a hill near the river and the land has recorded rights to use the Cobham Bluff private beach at the end of the cul-de-sac on the James River. Address to be assigned by County, estimated here for G-map use.